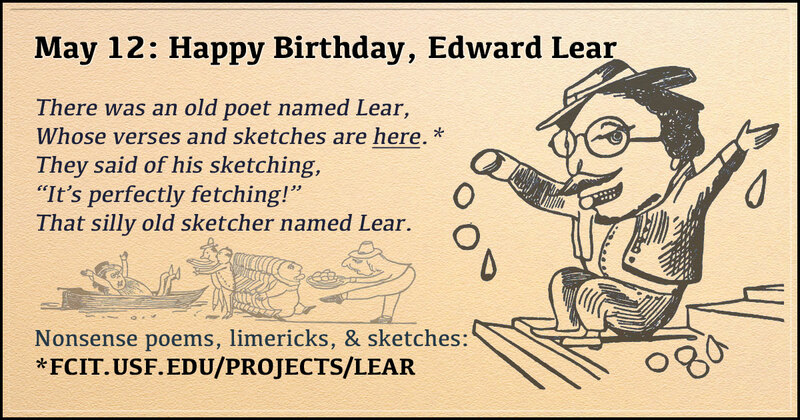 On this day in 1812, the British artist, illustrator, and writer, Edward Lear was born. He is known for his nonsensical poetry and his limericks, a form which he popularized. In 1846 he published A Book of Nonsense, a volume of limericks which went through three editions and helped popularise the form. 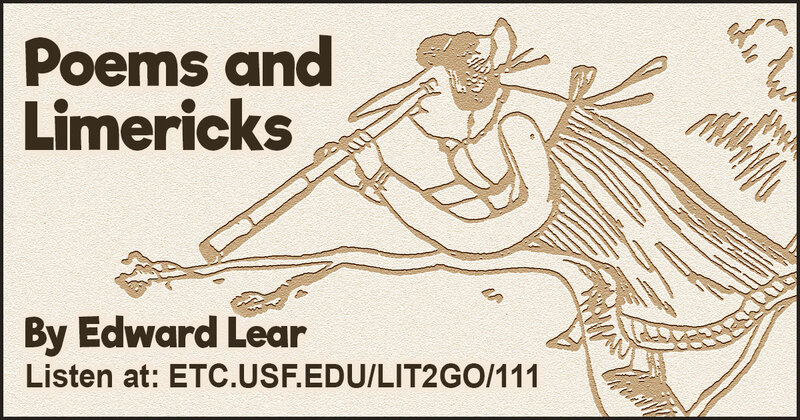 Use this banner on social media to share our collection of Edward Lear poems, limericks, and drawings. This audiobook collects poems and limericks by British writer Edward Lear and includes selections from several 19th century anthologies. 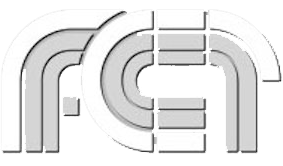 From the Lit2Go website. 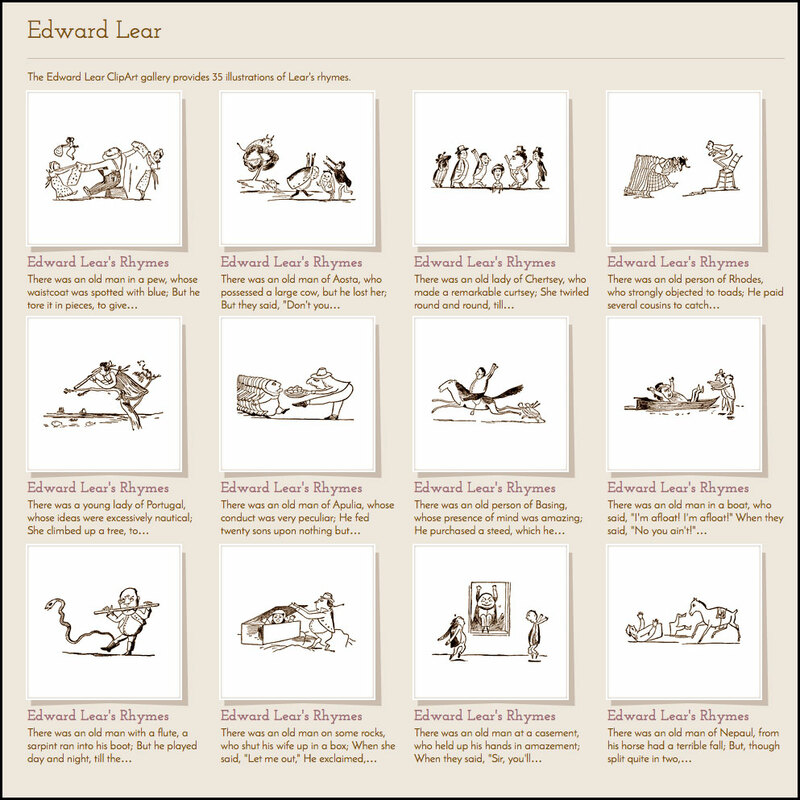 This gallery contains several dozen illustrations by Edward Lear from the ClipArt ETC website. Each drawing includes the original rhyme in the caption.